Sgt. Slaughter is a 2004 WWE Hall of Fame Inductee and former WWF World Heavyweight Champion. From the late 1970s to the early 1980s, Slaughter had success in the National Wrestling Alliance, American Wrestling Association and the World Wrestling Federation. He headlined WrestleMania VII in 1991. Slaughter also captured the NWA United States Heavyweight Championship twice. In the 1980s, an alternate version of the Sgt. Slaughter character was incorporated into the G.I. Joe: A Real American Hero toy line as well as its’ animated series and comic books. 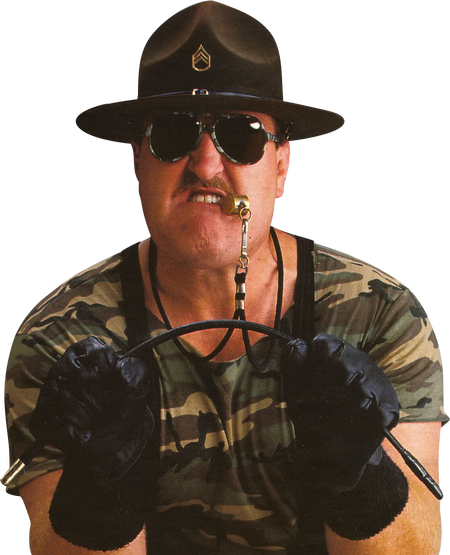 Slaughter was legitimately enlisted in the United States Marine Corps and was a drill instructor at Parris Island, South Carolina, prior to his professional wrestling career.